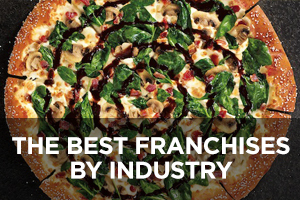 Franchise 101: Which Franchise Model Works Best For You - Service or Retail Franchise? After reading Lesson One and deciding to buy a franchise, you face another critical decision. 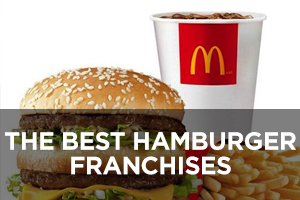 What kind of franchise should you purchase? 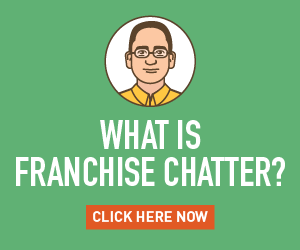 At first, this question seems daunting, because thousands of businesses, ranging from restaurants to muffler repair shops, fall within the gamut of franchises; meanwhile, various websites suggest that there are a few different types of franchises. In some cases, the descriptions of the different types could put you to sleep. Since alertness is a key factor when it comes to picking a franchise – and gobbledygook may cause headaches – we recommend that you ignore such descriptions at all times. You might also hear about three specific types of franchises – a format franchise, a product franchise and a manufacturing franchise. Our advice is to ignore these descriptions, too. If you are working on an M.B.A. degree instead of pursuing a franchise then, by all means, study these franchise structures in detail. Or, if you just want to distribute or obtain the rights to sell a specific name-brand item only, such as a trademarked drink like Coca-Cola, then look into product franchising. 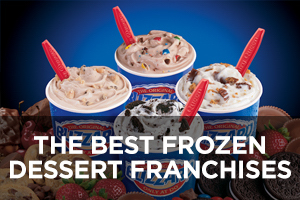 Otherwise, to save time and avoid confusion or boredom, give these franchise labels a pass. 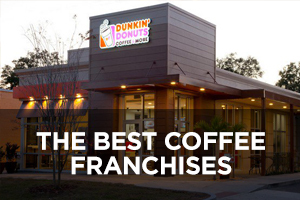 Instead, think in terms of two franchise models – a retail franchise or a service franchise. Your choice, in most cases, will come down to one or the other. But, before, you can make your choice, you must understand the differences between a retail franchise and a service franchise – and how they affect you, your family and your business. A caveat is necessary before we get into the differences between a retail franchise and a service franchise. 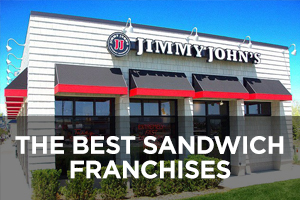 As noted in Lesson One, the beauty of a franchise is that it is backed by a proven system. Years of operating a certain way with a similar location format, product, technology and brand can make a huge difference to each franchisee’s bottom line. Many franchisees – in a variety of business sectors – have succeeded by following a detailed operating system that has been spelled out clearly for them and used by many others who have gone before them. 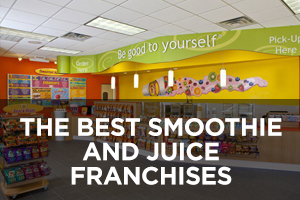 Some might describe the way franchisees use a system as a cookie-cutter approach. But many franchisors and franchisees alike would probably take exception to such an argument. After all, nobody likes to be called a copycat. In other words, it is dangerous – and often unfair – to stereotype; therefore, one must also tread carefully when trying to categorize franchises. In other words, sometimes – one might even say often – the lines between retail and service franchises are blurred. 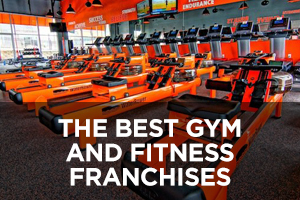 One might ask, as someone actually has: Where does a fitness franchise – for example a gym – fit in? (No pun intended with the wording on that question.) After all, a gym franchise provides a location, just like retail stores do, but it often also offers a service – fitness instruction. And, what about a trampoline park franchise like Skyzone? Is the owner of a place that allows kids to bounce up and down a retailer or a service operator? 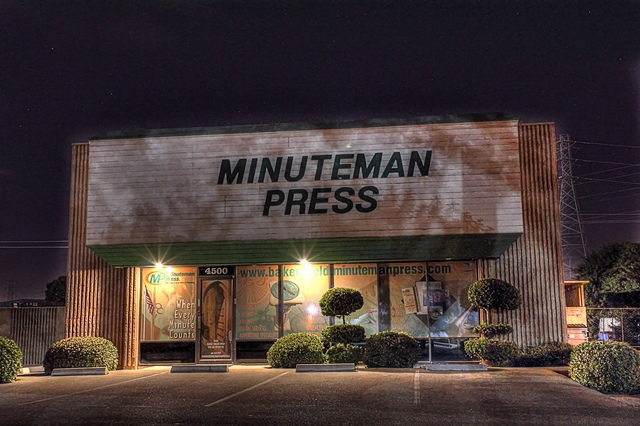 What about a UPS Store or Minuteman Press franchise (to use an example of a franchise that will be mentioned again later)? They each have numerous stores that stand out on the street because of highly effective branding. But they also thrive on providing a service. Actually, they provide a number of services. Remember: We are largely simplifying – or even generalizing – things here because, by recognizing the two basic franchise models, and their similarities, differences and tendencies to blur the lines, you can choose the specific business that is right for you. Now, let’s live dangerously and explore the two categories in a bit more detail – while still generalizing to a large extent. What is a Retail Franchise? Generally, for our purposes here, a retail franchise is defined as a franchise that sells goods, including food. Examples of retail franchises include McDonald’s and other quick-service restaurants, like Subway, as well as convenience stores like 7-Eleven, and clothing stores like Plato’s Closet – among many others. Yet, it is important to understand the service aspect of a retail franchise – both in terms of understanding the toll that it will take on you and knowing how it differs from an actual service franchise. 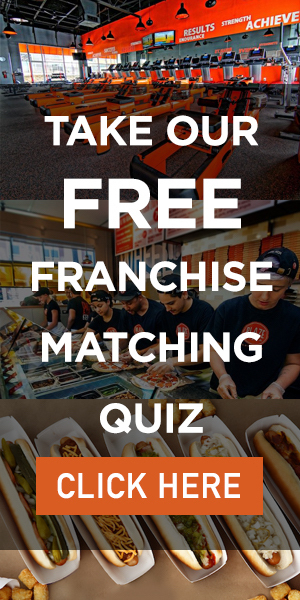 What is a Service Franchise? Unlike a retail franchise, a service franchise – as the description suggests – primarily sells a service. And, unlike most retail franchises, a service franchise does not necessarily have a bricks-and-mortar location. Why? Often, but not always, service franchises are mobile. They provide a service on demand (or on the go), such as cleaning, computer repairs, accounting, and financial advice, or many other services. Services could be provided to residences, businesses or both, depending on how franchises choose to specialize. Some service franchises, such as the aforementioned UPS Store and Minuteman Press, do have bricks-and-mortar locations. However, a service franchise often allows you, the owner-operator, to work from home. In other words, you can operate your franchise as a home-based business – often at a much lower cost than a retail franchise, because less real estate is required. Some, if not many, service franchises will also sell a broad range of products or accessories, but those items are supplemental to a service franchise. It’s about the service, baby. Now, you have a basic understanding of the two franchise models, or at least a rough idea of the differences between the two, and you are moving closer to a decision on the model that suits you best. But the choice will not necessarily be easy. 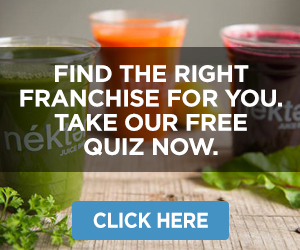 However, instead of asking yourself which franchise model is right for you, you might want to twist the question around and ask: Which model are you right for? Franchisors interviewed by Franchise Chatter, suggest that the beauty of a retail franchise lies in its simplicity. Retail franchisees must also hope that the benefits of the site do not change over time, because some shared retail locations, such as malls, can lose their appeal as different tenants move in and out. But while things might go right with the goods, brand and location, a retail franchise can take a different toll on you. Franchisors suggest that, because of the location, long hours of operation and higher amount of staff required, a retail franchise requires more commitment from the owner’s family than a service franchise. Bullington notes that, with retail franchises, owners often have no choice but to call in family and friends to help. “If their business is open 60 hours a week, it’s pretty much unsustainable for the owner to consistently be in the store for those 60 hours a week, because there’s also additional work – management and administration – that can’t happen in the store,” says Bullington. 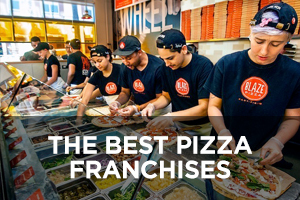 But, despite the extra workload required, a franchisee can often rest comfortably knowing that a retail franchise — because of the bricks-and-mortar location and easy access to customers – will sell itself, if operated properly. 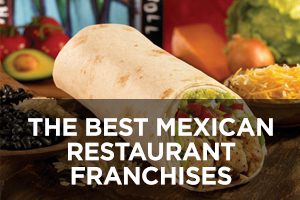 That is not necessarily the case with a service franchise. One major appeal of a service franchise is that it does not cramp the owner’s lifestyle to the same extent that a retail outlet does. Bullington says that some prospective franchisees choose service franchises because they will not be tied to a specific location or need to put in as many hours. “So you can have a little bit more freedom and flexibility in terms of when you’re active in your business,” says Bullington. “I’ve seen it with (service franchisees) that, if they have kids and they drop their kids off at school and pick their kids up at school, they simply have black-out times in their schedule. So they never get double-booked. They’re always picking up their kids, and they just do their business in and around those commitments. However, some business-to-business service franchises with bricks-and-mortar locations may also hold appeal because they are only open during regular business hours. In other words, lifestyle is one aspect to consider when deciding on a service or retail franchise. Bullington adds that service-based franchises are also appealing because they have “significantly lower” up-front costs. Franchisees are given exclusive territories but do not have to worry about traditional “big rent” or buildout costs or wages associated with retail locations. But sometimes, a service franchise’s location is important. Location obviously matters to retail franchises like McDonald’s and typical stores, but a good location can also make a difference to a service franchisee — such as someone who operates a tax service franchise – because customers might choose to visit the business. Location can also matter to a franchisee even if customers do not visit, because the work environment can affect a franchisee’s efficiency. For example, Bullington, who is a FranNet franchisee, chooses to work out of an office because he finds that he can be more productive there than at home. Other franchisees could be the opposite and find that they might like to work at home for various reasons. Others might like a noisy location – be it inside or outside the home. Others might prefer more peace and quiet. The ultimate message: Even if you are a service franchisee and do not depend on a bricks-and-mortar location to woo customers, find the place that lets you do your thing – the way you want, or need to, and at a profit. And, remember another key point. Contrary to its definition, a service franchise often entails more selling than serving. Although a service franchise requires less staff and equipment in many cases, many service franchisees do not have the luxury of operating in a fixed location that draws huge crowds. As a result, when it comes to drumming up new business, a service franchisee may have to pound the pavement more frequently than a retail franchisee. “The challenge, I think, that some folks have with a service-based business is, yes, you’re going to get a name and a trademark, and you’ll probably get a website, and you’re going to get some marketing materials,” says Bullington. To illustrate his point, he uses the example of a residential cleaning business. If your business is promoted properly, it might not be difficult to get someone to call and ask for a price quote, but that person is not yet your customer. 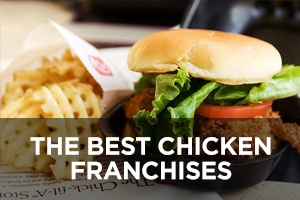 While providing the quote, the franchisee must also close the deal. “Even if they’re great with customers, if they’re not great at getting customers, then they don’t get very far,” says Bullington of service franchisees. Although there are two – general – franchise models outlined here, one type is not necessarily better than the other. “They’re both good businesses,” says Pizza Pizza’s Fuschini. Before making the choice between a retail or service franchise, prospective owners must ask themselves key questions, he says. Ultimately, the choice between either model is about you. Now that you have decided to become a franchisee after reading Lesson One, and developed a clearer picture of retail and service franchise models following Lesson Two, another key question looms. 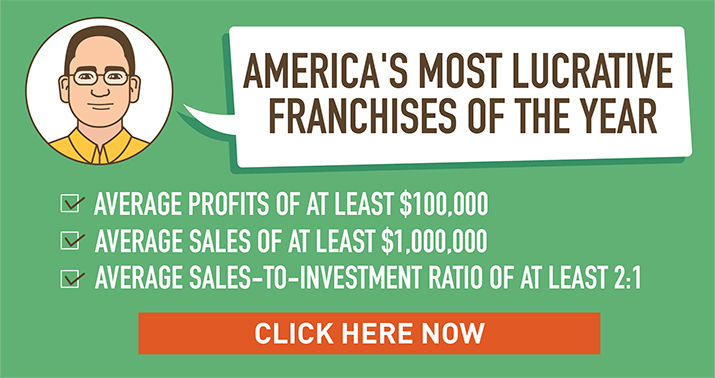 Where will you get the money to buy and operate your franchise? We’ll look at franchise financing options in Lesson Three. 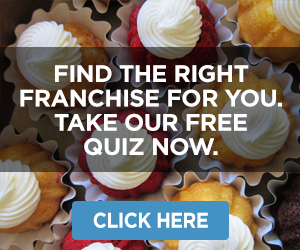 You are here: Home / Franchise 101 / Franchise 101, Lesson #2: Which Franchise Model Works Best for You? Will you have a lesson 3? When? Thanks for the comment. No current plans for a Lesson #3 at this time.